Eventually, there will come a time in every child’s life when home becomes a too tight place to be. Forget about the weeks you spent decorating your child’s room, the many toys you’ve bought or the cartoons that always come in handy when you can’t come up with a creative way to keep your little one entertained and let your child get out of the house and experience the outside world. Kids are way more curious than us adults, and exploring the wonders of our unique world is one of their favourite things to do. Becoming independent is a significant part of every child’s development and no parent should take that away from them. 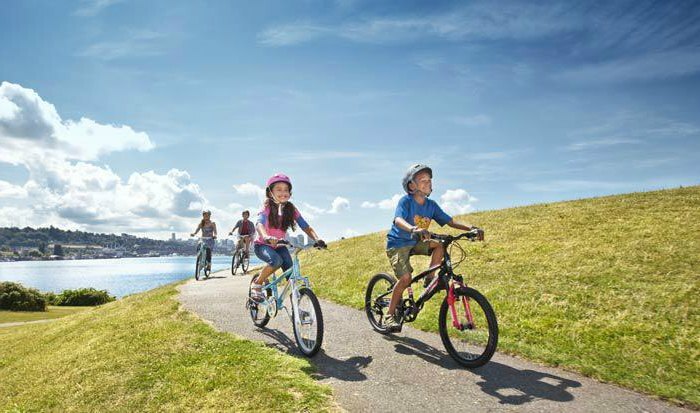 There are many outside activities that most of the kids love, but the all time favourite of course is riding a bike. Kids literally go crazy about them! It’s a great way for children to have fun while getting fit and learning the basics of independence. 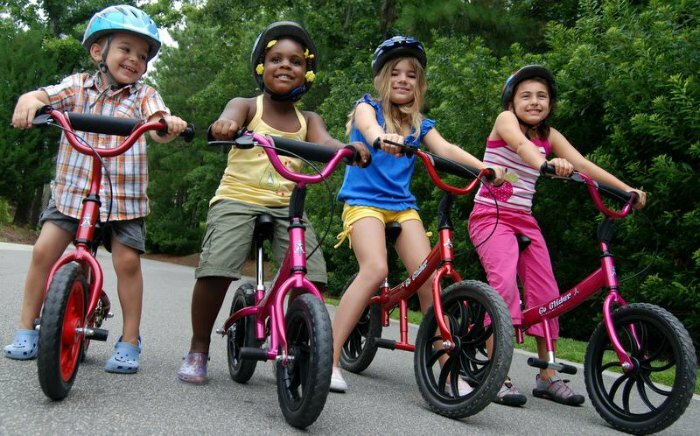 Typically children start learning to ride a bike between the ages of 3 to 6. The first ride that kids experience is usually on a tricycle since it’s easier to balance and it teaches them about the coordinated leg movements among other important things. But the tricycle is only the beginning. The real excitement comes when the kiddos feel the sheer thrill of riding their first balance bike. It’s a time when they feel greatly challenged and afraid because they are higher off the ground. As a parent, you have to constantly encourage them even if they fall too many times. That’s how they will feel stimulated and will be willing to continue with the learning. If your child is finally ready to make that change from a tricycle to a balance bike, congrats! It really is a big deal and a huge step for your little one. Obviously the first thing you should do is buy that bike and make your child happy. When it comes to our children we only want the best for them, and choosing a new bike is not an exception. You will definitely face a lot of difficulties when shopping for a bike, but I did that research for you so you don’t have to. When one morning my son came crying to me and told me all about his terrifying dream and how he couldn’t run away from the monster because he didn’t have a bike, I got so emotional and told him that the first thing we’ll do after breakfast is go for some bike shopping. The most important thing for me was to make sure that I’ll give my child the best tool he needed to build confidence for this healthy habit and finding a safe bike was a top priority. Hours after our search for the perfect bike and a few “mum I want to go home”’s followed with snuffly crying, I gave up and decided to look for an online childrens balance bike shop and I found the one that suited all my needs. Trust me, buying from home has never been a thing for me, so I was pleasantly surprised by the range of possibilities it provides. And also it was easier to make the purchase without my child running around and asking for everything he sees in the shop. Shortly after the purchase, the bike arrived safely at home. We all went nuts about it! It was like me and my husband were learning to ride a bike for the first time, we were even more excited than our boy. We first had him try to ride the bike on the grass. We found the perfect spot that had a slight incline so he could practice balancing. Also, if your child falls down hitting a grass will be less hurtful than falling on solid ground. That way your child will grow more confident and will easily overcome the fears from riding a balance bike. Seeing your little one do things on his/her own is a reminder that we have to enjoy the precious little moments in life. I think we all agree now that getting your little one a childrens balance bike is crucial for their overall development, and buying the right one should be a priority for every parent. If you have the right bike, teaching the rules of the road to your child should not be a problem. Happy biking!